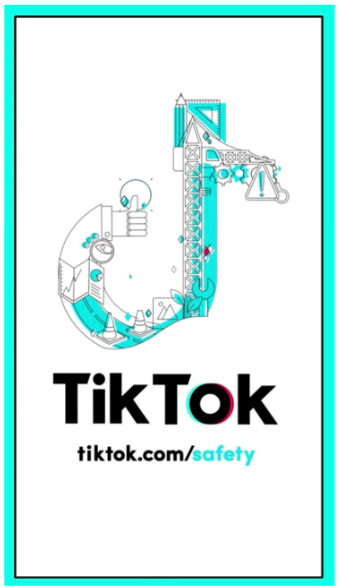 TikTok, the app that lets you up your game for creating and sharing short-form videos, is modernizing the conversation on user safety and making it approachable – and fun – with our new educational video series, “You’re in Control.” The series thrusts useful information on safety guidelines and tools – typically buried in a page of text – front-and-center in entertaining videos that you’ll enjoy watching. Our mission at TikTok is to empower you to be your most creative self while building a positive and welcoming community. We believe that providing you with the right tools and practices helps create a better online experience, but we know that help centers and in-app settings can be hard to digest. Making safety and privacy controls accessible and easy to understand is our priority! So we’re releasing a brand new short-form video series to show you how to take control of your online experience. With “You’re in Control,” we’ve merged the important info into real short videos. – to help you feel both educated and entertained. Community Guidelines: A lively introduction to the series' cast of characters that highlights our policies and community guidelines that exist to foster trust, respect, and a positive environment for everyone in the TikTok community. Choosing a private account: Told through the lens of a surprise party, this tutorial illustrates how to enable a private account, which restricts viewing of your content to followers only. Enabling comment controls: Illustrated in a noisy diner, this video shows you how to enable comment controls to filter out the noise. Enabling messaging controls: Taking place in a plane 30 thousand feet in the air, this video shows you how to restrict or even disable in-app messaging. Setting screen time limits: Showing a situation we’re all too familiar with, this tutorial demonstrates setting screen time limits - for those of us who can’t put down the phone. Enabling restricted viewing: Barking dog or cute puppy? This video shows you how to enable a feed that fits your preferences. Supporting the community: What do you do if you notice a fellow user seems upset? Reach out like you would to a friend at a party using the in-app reporting steps outlined in this video. Creating a positive community on TikTok requires a multifaceted approach that involves policies, settings and controls, technology, moderation, and more, but we believe this step towards more accessible user education is just as valuable. With “You’re in Control,” we hope you’ll feel inspired to use the tools at your disposal and take a deeper look into our privacy and safety resources in our Safety Center. This series is just one approach in our ongoing efforts to understand and listen deeply to the community and their needs as we strive to keep the TikTok community positive and supportive. At TikTok, we believe that you are your most authentic self when you’re safe and in control. With this video series, we believe we struck a balance between educational and entertaining in a way that will empower you to own your TikTok experience. The initial 7 videos will roll out in the TikTok app in the US and UK beginning today, and we'll continue to introduce additional tutorials as we encourage and support a positive global TikTok community. Check ‘em out at @tiktoktips!